Below are forms and/or applications for a variety of programs offered through the Ashtabula County Health Department. You may print off any of these forms for your convenience. We do NOT accept credit cards or out-of-state checks. 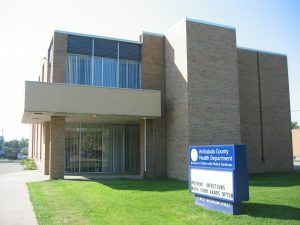 Please make checks or money orders payable to the Ashtabula County Health Department. A return check fee will be charged from the Treasurer’s Office per ORC Section 321.48 for any returned checks. If you would like more detailed information on these programs please select the appropriate link in the Environmental Health section.